Inverted pendulum system is a nonlinear unstable system, an ideal experiment platform for teaching control theories and conducting various control experiments. Many abstract control concepts, such as the stability and the controllability of a control system, can all be shown visually through the inverted pendulum system. In addition to educational purposes, the inverted pendulum is an ideal research tools for many researchers of modern control theories. Through the continuous research on new ways of controlling inverted pendulum, researchers have developed new control methods, and apply them to the high tech areas such as aeronautical engineering and robotics, thanks to the characteristics of the system, such as high-order, instability multi-variables, non-linearity and strong coupling. The linear inverted pendulum series products developed by Googol Technology adopt an open control solution and a modularized experiment platform. 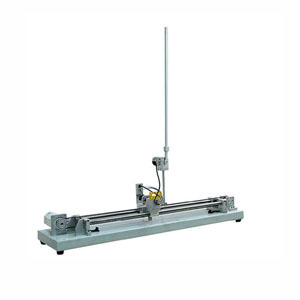 With the linear motion module as the base platform, it is easy to build more than 10 teaching and experiment control platforms, satisfying the various needs for control teaching and research. Hardware platform is based on PC and DSP-based motion controller. MATLAB Windows2000 experiment program, with SIMULINK as user interface can build model, perform simulation and analysis, evaluate control performance, and improve control system directly. Comprehensive experiment kit , covering the dynamic modeling, classic control experiment, modern control experiment, optimized control experiment and intelligent control experiment. Users can select relevant material for the experiment and teaching needs of various courses. Flexible configuration of highly customized experiment platform. Develop, verify and challenge control algorithm. Tackle the complex control problems related to three- and four-stage inverted pendulum. Highly Extensible from basic Linear module with linear flexible joint module for greater control exploration.